April is a special time of year here in the Bluegrass for several reasons. Keeneland, a favorite in UPK’s hometown of Lexington, is finally open for their Spring Meet. The Derby is right around the corner. That vicious winter has hopefully been permanently laid to rest. Tailgate season isn’t too far away. All of these reasons culminate in the heartwarming truth that it is once again acceptable to drink bourbon before 5 o’clock (thanks in part to Jimmy Buffett and Alan Jackson). We at UPK are fortunate enough to have dozens of bourbon recipes at our disposal from some of our most talented authors and their various works. 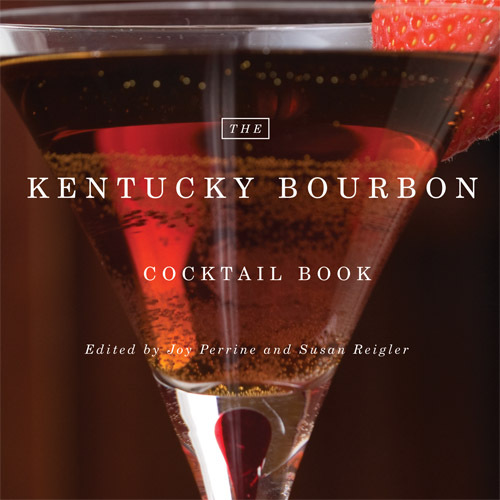 In The Kentucky Bourbon Cocktail Book, Joy Perrine and Susan Reigler provide a reader-friendly handbook featuring more than 100 recipes including seasonal drinks, after-dinner bourbon cocktails, Derby cocktails, and even medicinal toddies. See below for a fun twist on an old classic! This is the perfect drink for a Derby brunch. I relished rising to the challenge from those who said a bloody Mary couldn’t be made with bourbon. Ha! To prepare the seasoning mix, combine in a mortar one part each smoked sea salt and smoked pepper and two parts smoked paprika, all from Bourbon Barrel Foods (www.bourbonbarrelfoods.com). Finely crush with a pestle and shake together in a jar. To a pint glass or large mason jar filled with ice, add the bourbon, squeeze and drop in the lemon wedges, and add the teaspoon of seasoning mix and the Worcestershire sauce. Shake. Add more ice and the can of tomato juice. Shake again. Garnish with a long straw, baby corn, a large pitted black olive, and a cherry pepper, all on a stick. If you’re interested in this recipe and more like it, head over to our website to buy the book. 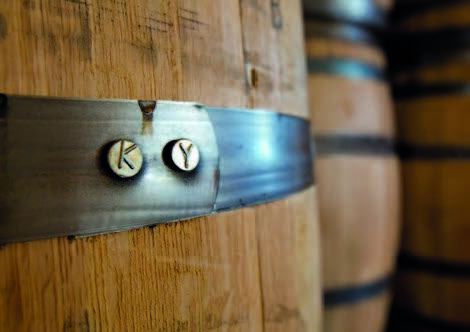 Stay tuned to our blog for posts about all things bourbon for the next couple weeks! This entry was posted in Kentucky Books, Uncategorized and tagged authors, Book, books, bourbon, cocktail, cocktails, cookbook, Cookbooks, cooking, Joy Perrine, Kentucky, Kentucky Books, Kentucky Derby, Kentucky Press, Kentucky Writers, recipe, Recipes, Susan Reigler, The Kentucky Bourbon Cocktail Book, University Press, University Press of Kentucky, UPK on April 16, 2014 by emilybarnhill7. Fact or Myth: You can get your daily dose of veggies from a cocktail? Thanks to everyone who entered our giveaway this week and congratulations to our winner! We’re still in the bourbon spirit, so we’ll leave you with two more bourbon cocktail recipes that are sure to surprise! April 1st has come and gone, but we’re not trying to fool you with this one! 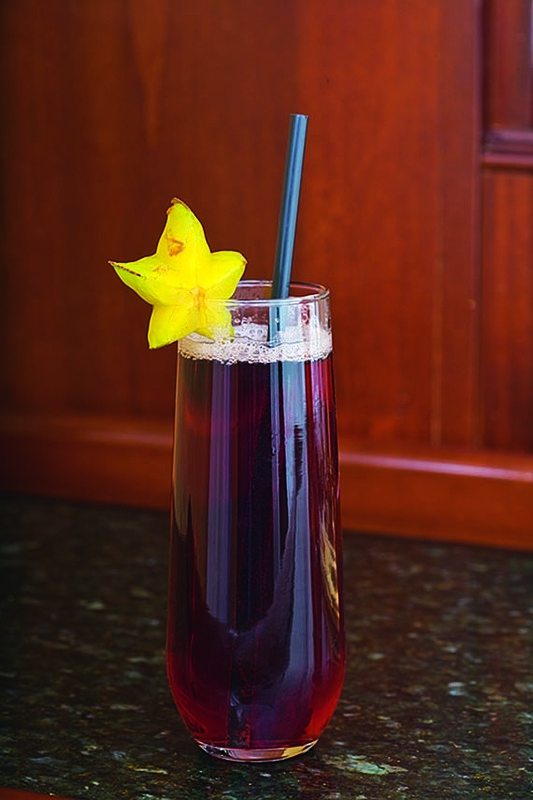 In The Kentucky Bourbon Cocktail Book, Joy Perrine and Susan Reigler offer a surprising and innovative way to get your daily dose of veggies—mixed with a little bit of Kentucky’s finest bourbon. Check out the recipes for Sweet Potato Pie and Veggie Implosions! Prepare the sweet potato as follows: Boil the potato until cooked but still firm. Cool and peel it and cut crosswise into three chunks. Scoop out the center of each piece, being careful not to scoop all the way through, making a “well” to hold the drink. Dip the potato rim in sorghum syrup and then in chopped, toasted pecans. Put ½ ounce sorghum in the bottom of a Martini glass and sprinkle with pecans. Place the three pieces of sweet potato into the Martini glass, hollowedout centers facing up. Shake the bourbon, brown sugar syrup, and pecan liqueur over ice and carefully pour into the sweet potato cups. Garnish with a dollop of whipped cream. Serve with two small sip straws and a small spoon. Sip the cocktail and eat the sweet potato pieces. Carefully shave flesh from the base of the vegetable pieces so that they rest level on a tray or plate. Hollow out the inside of the vegetable pieces to make veggie “shot glasses.” Place small bowls of condiments such as those produced by Bourbon Barrel Foods (BBF)—Bourbon Barrel Aged Soy Sauce, Bourbon Barrel Smoked Sea Salt, and Bourbon Barrel Smoked Peppercorns—around the veggies. Dip the rim of the veggie shots into the soy sauce, salt, and peppercorns. This entry was posted in Uncategorized and tagged bourbon cocktail recipes, Giveaway, Joy Perrine, Susan Reigler, The Kentucky Bourbon Cocktail Book, University Press of Kentucky on April 12, 2013 by courtneyehrler. Become an Award-Winning Cocktail Mixologist! 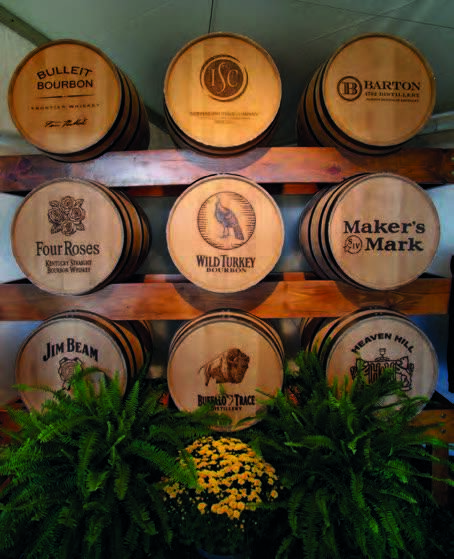 Today, there are more brands of bourbon and more bourbon drinkers than ever before. But, with so many options you may find yourself wondering just how to prepare your own award-worthy bourbon cocktail. In The Kentucky Bourbon Cocktail Book , award-winning bartender Joy Perrine and former restaurant critic and drinks writer Susan Reigler assemble a complete how-to guide for concocting the perfect bourbon drink for any occasion. Impress your friends and family with your mixology skills using these prized bourbon cocktail recipes! 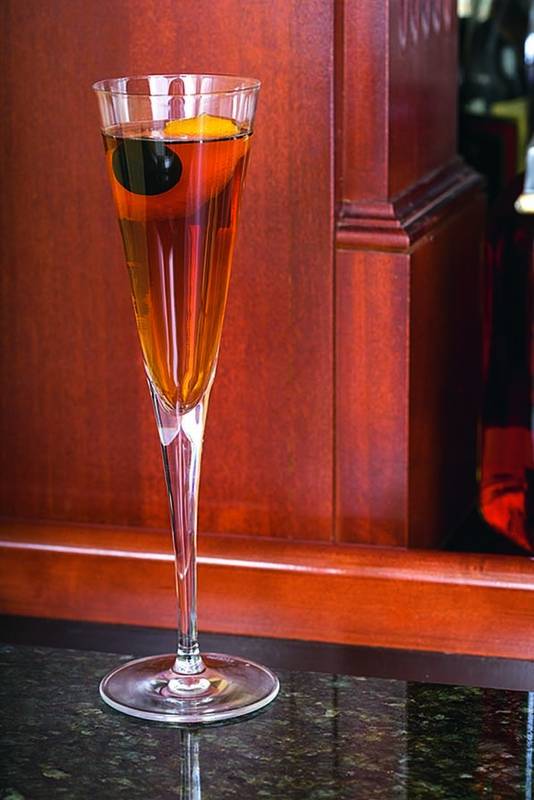 As summer rapidly approaches, Joy’s Manhattan Italiano is the perfect drink to accompany the warm weather. This summertime bourbon cocktail received the second place award in the 2008 Woodford Reserve Manhattan Contest. Combine, shake over ice, and strain into a chilled glass. Garnish with an orange slice and a large black pitted olive on a pick. While the holiday season has come and gone, this Perrine creation takes you back to the winter months filled with holiday flavors and cheer! The Spiceberry won first place in the 2006 Woodford Reserve Infusion Contest. Combine, shake over ice, and strain into a chilled glass. Garnish with half an orange slice and three fresh cranberries on a pick. Stay tuned for more bourbon cocktail recipes throughout the week and remember to sign up by 1 pm Friday, April 12 for this week’s giveaway of The Kentucky Bourbon Cocktail Book! 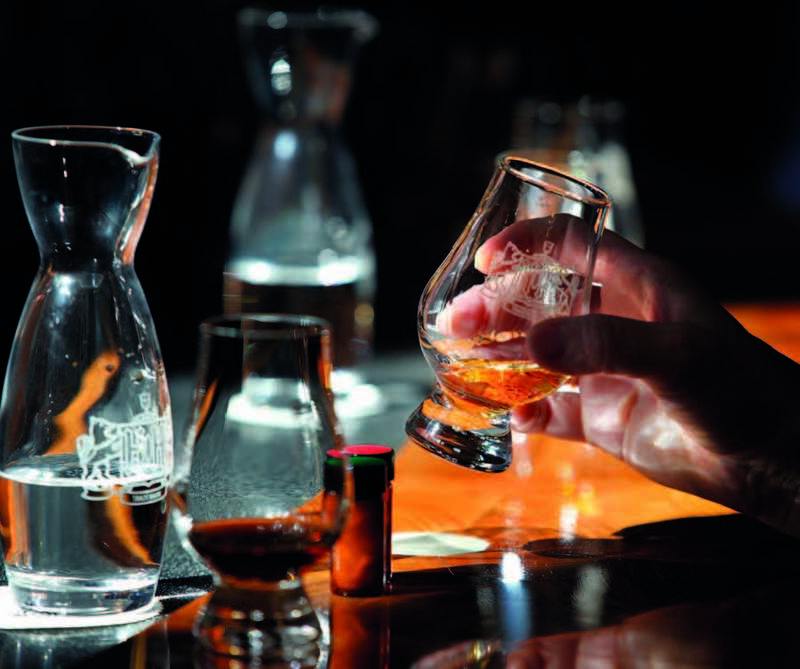 This entry was posted in Uncategorized and tagged bourbon, cocktail recipes, Giveaway, Joy Perrine, Susan Reigler, The Kentucky Bourbon Cocktail Book, University Press of Kentucky on April 10, 2013 by courtneyehrler.